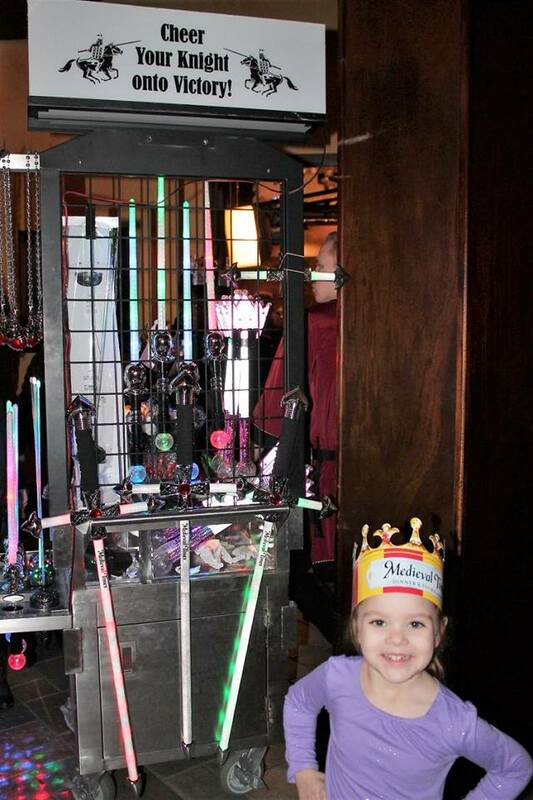 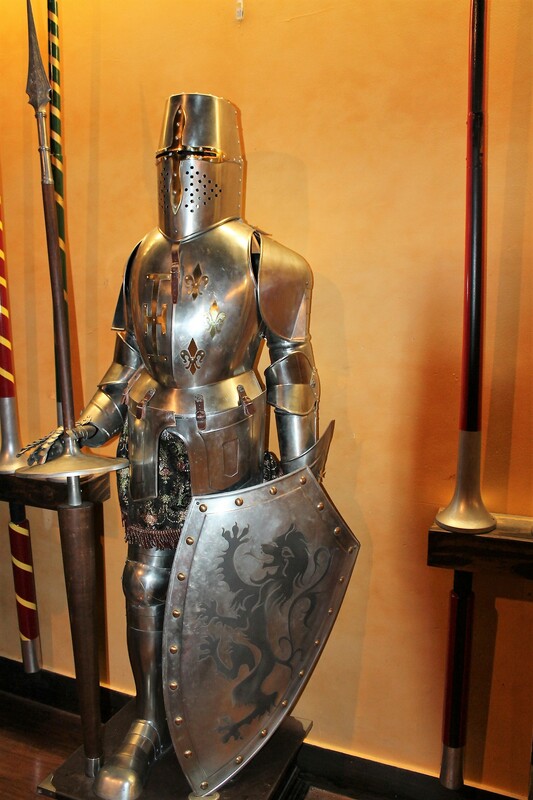 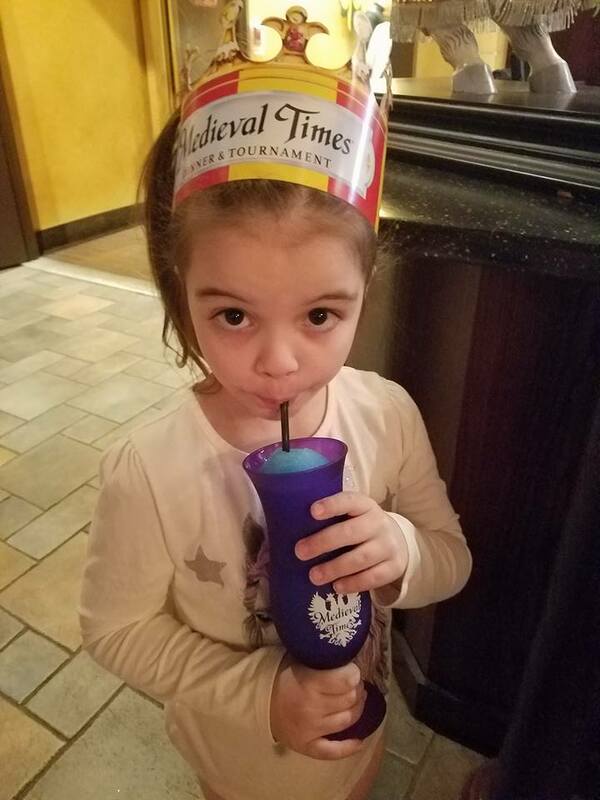 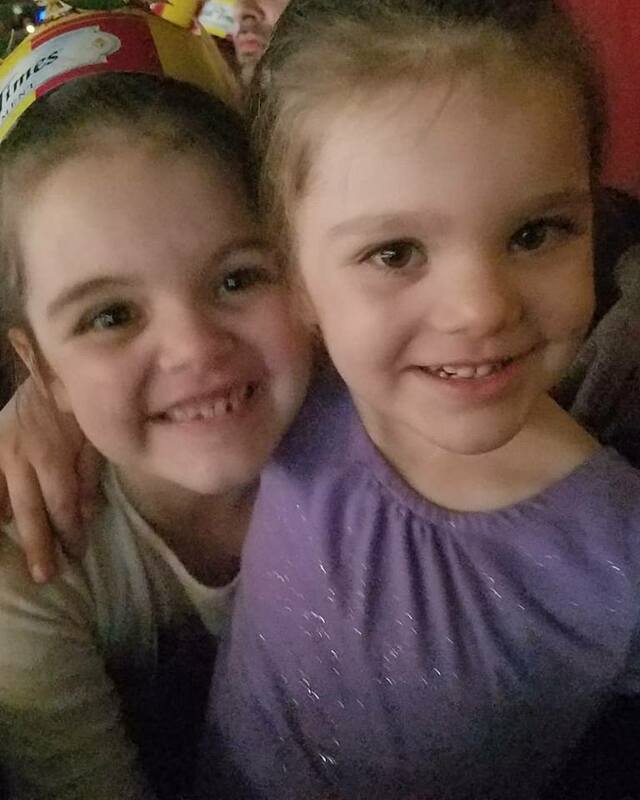 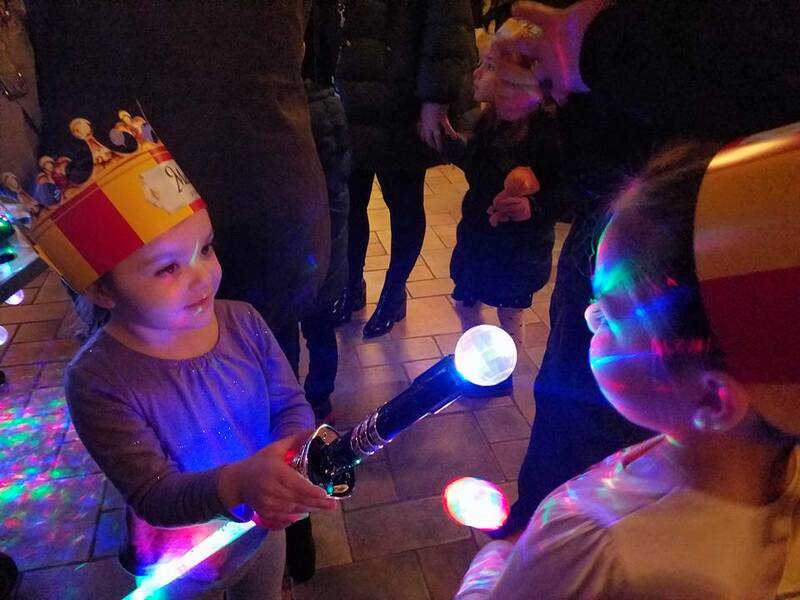 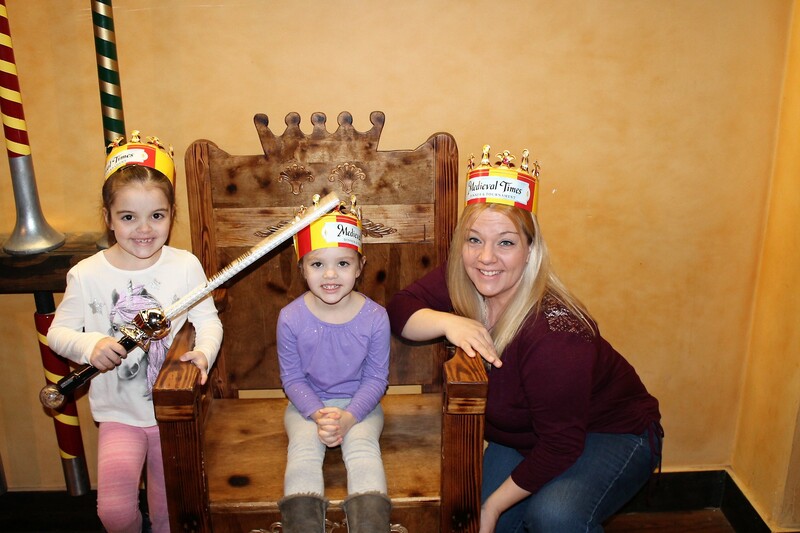 We visited the Medieval Times’ castle yesterday in Lyndhurst, New Jersey and had the best time! 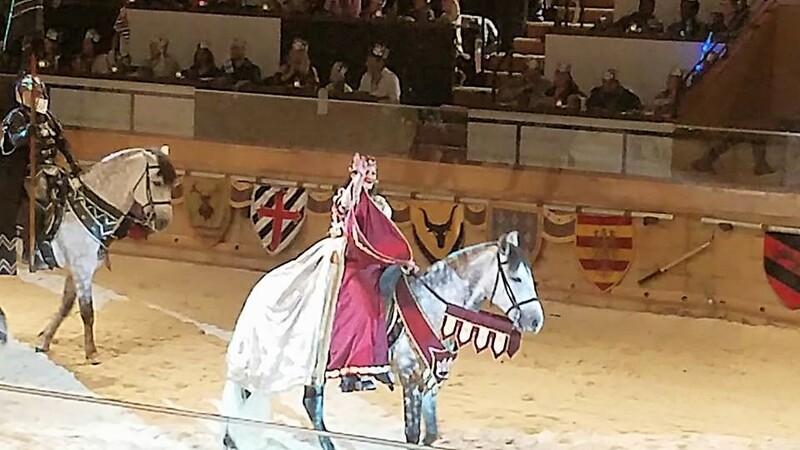 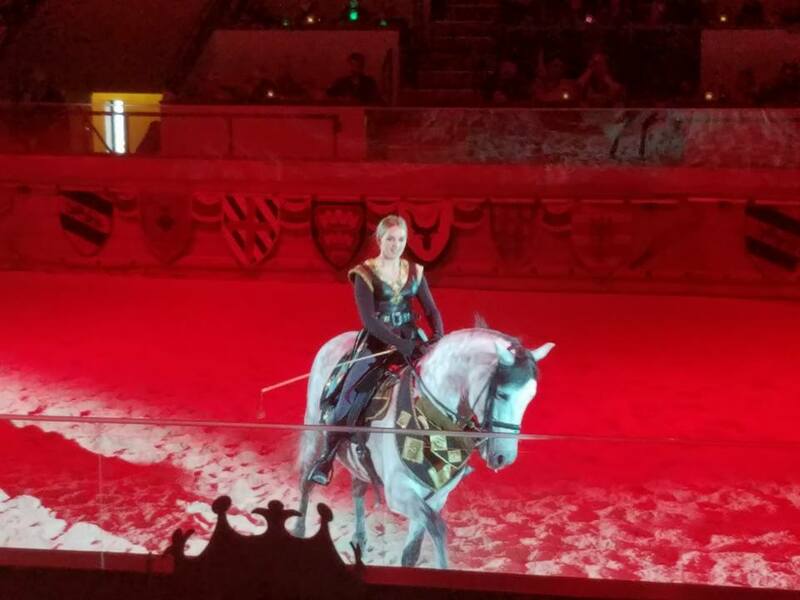 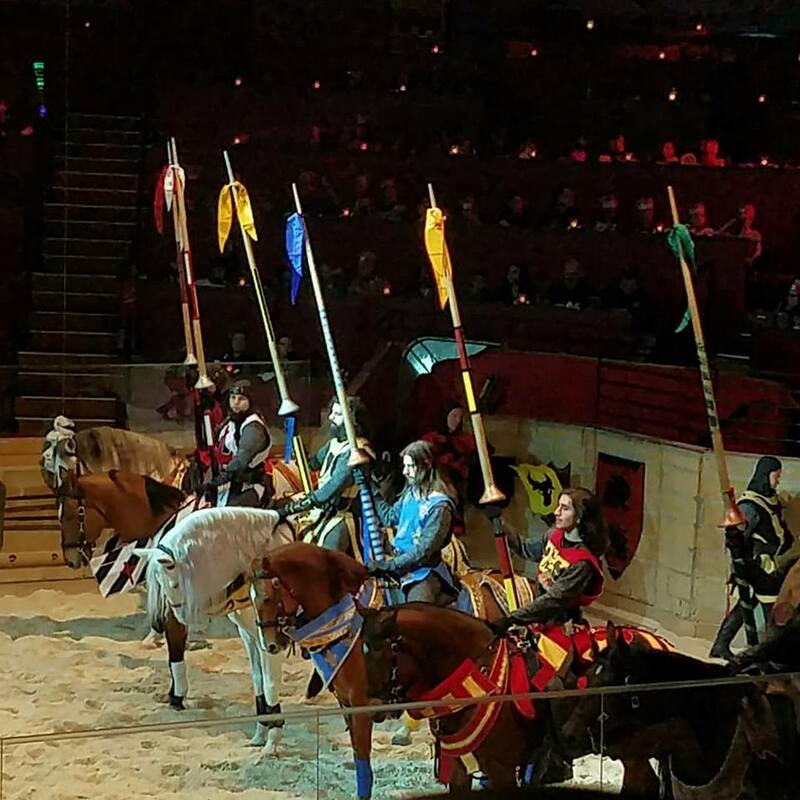 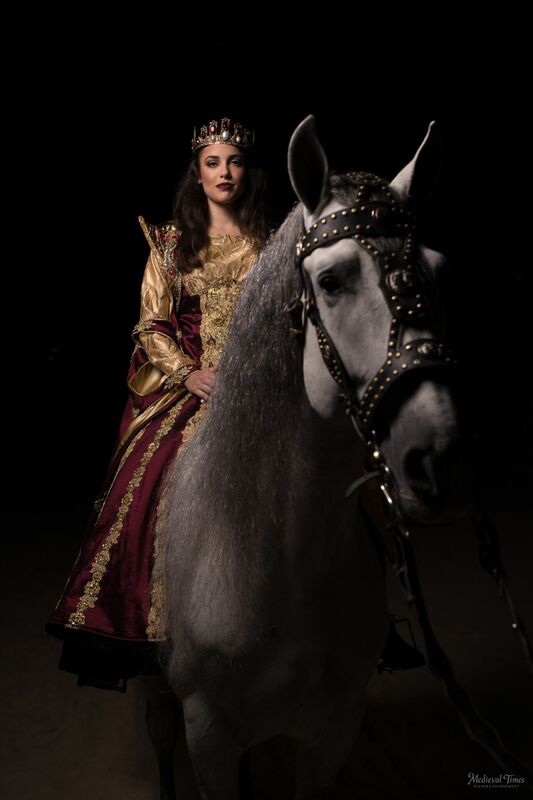 Medieval Times’ has steered away from it’s 34-year tradition of casting a king as the show’s lead role and they have now featured a Queen to headline and her name is, Queen Dona Maria Isabella. 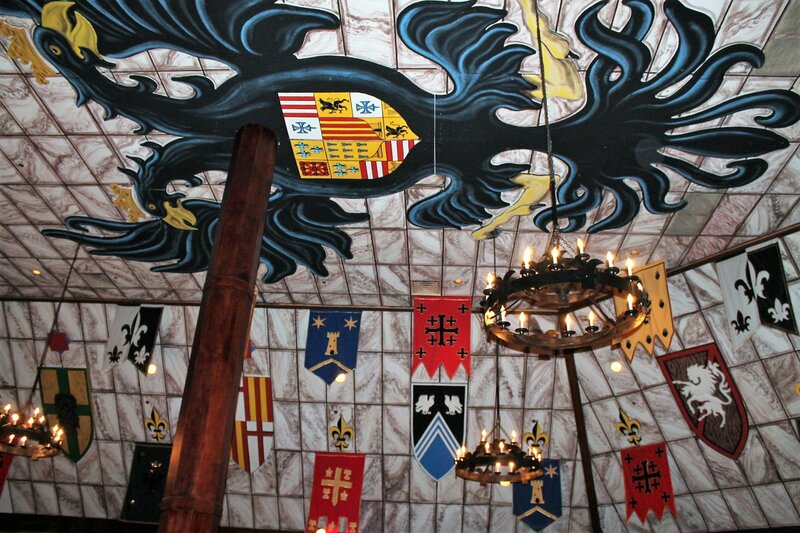 The castle is gorgeous inside and we enjoyed the experience of feeling like ladies and a lord at the Queen’s castle. 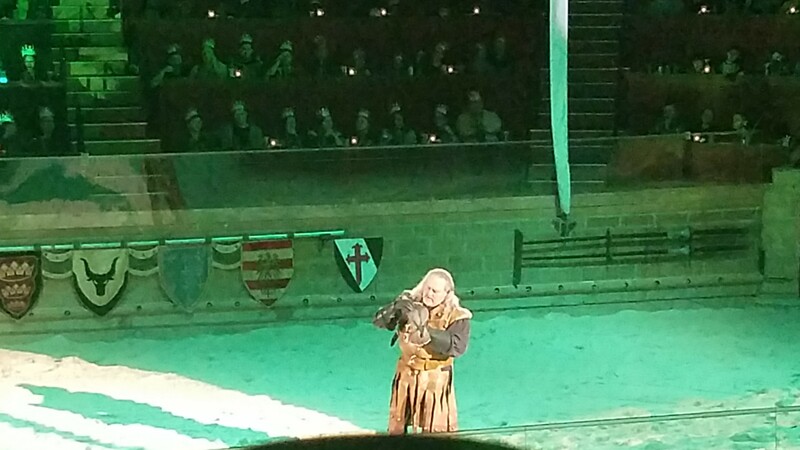 and a live flight of the royal falcon! 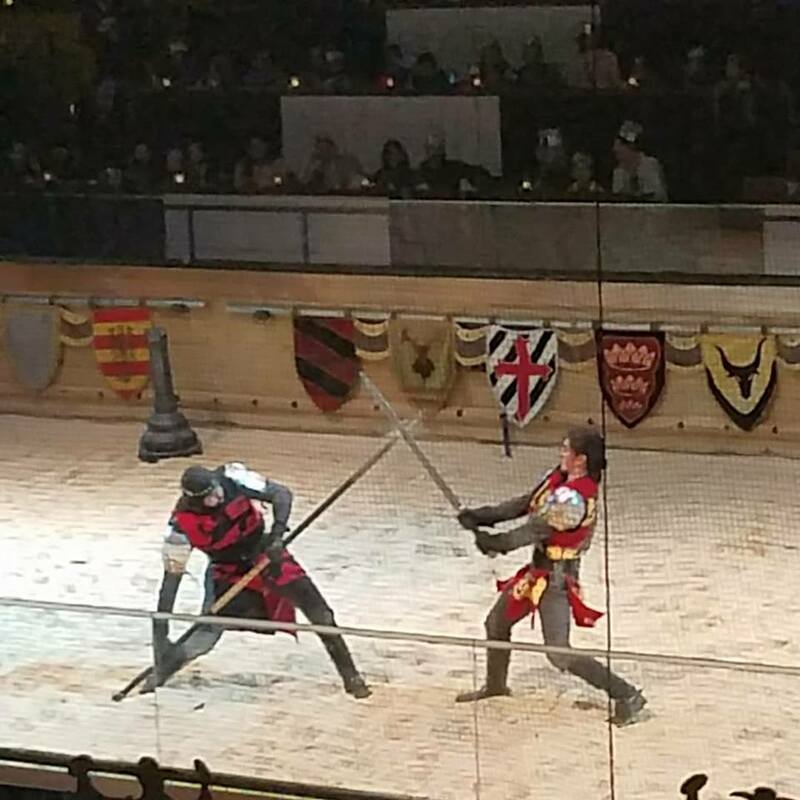 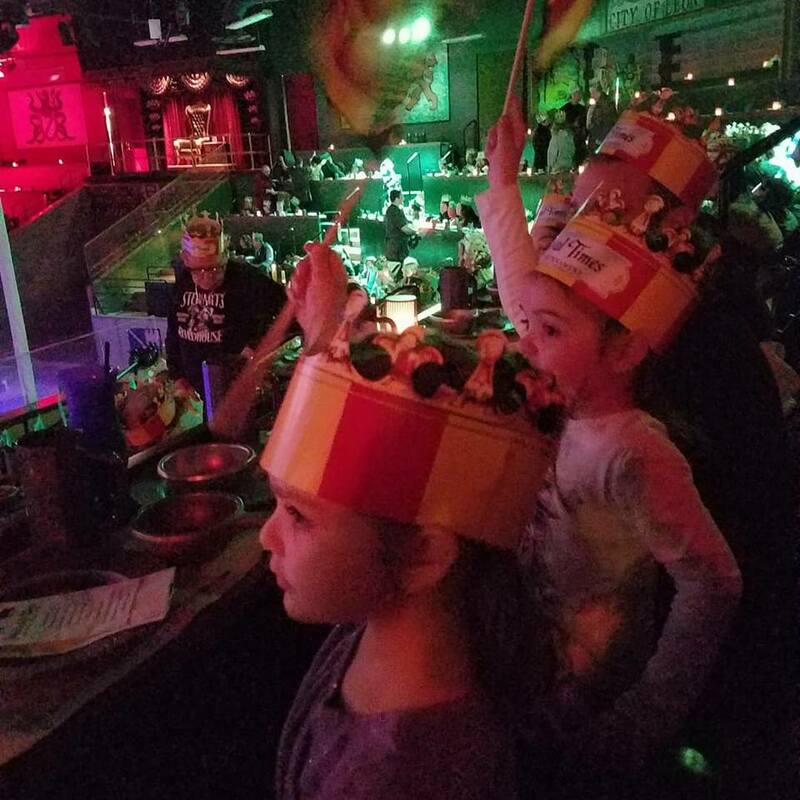 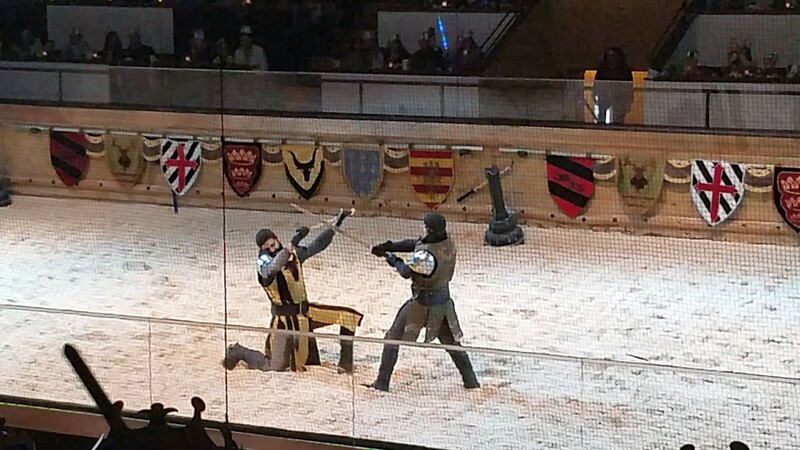 We were cheering for the red/yellow knight! 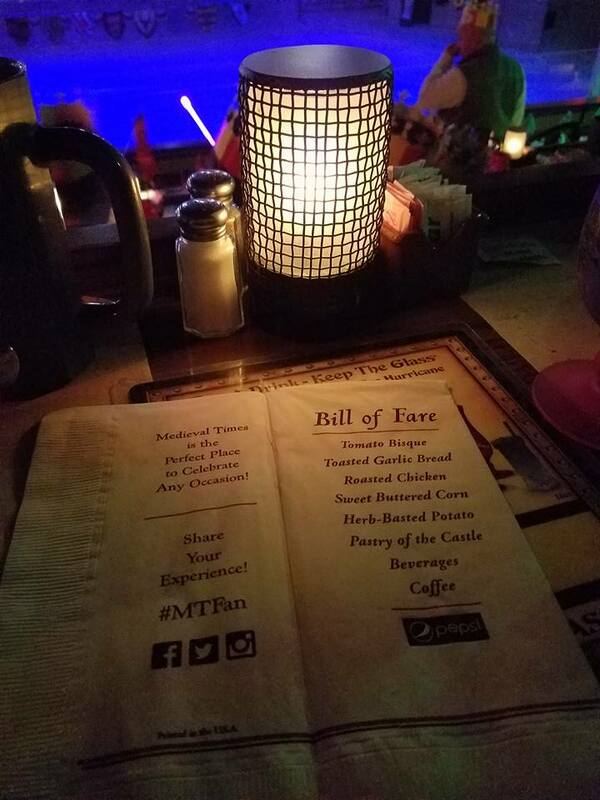 You are assigned a section when you arrive. 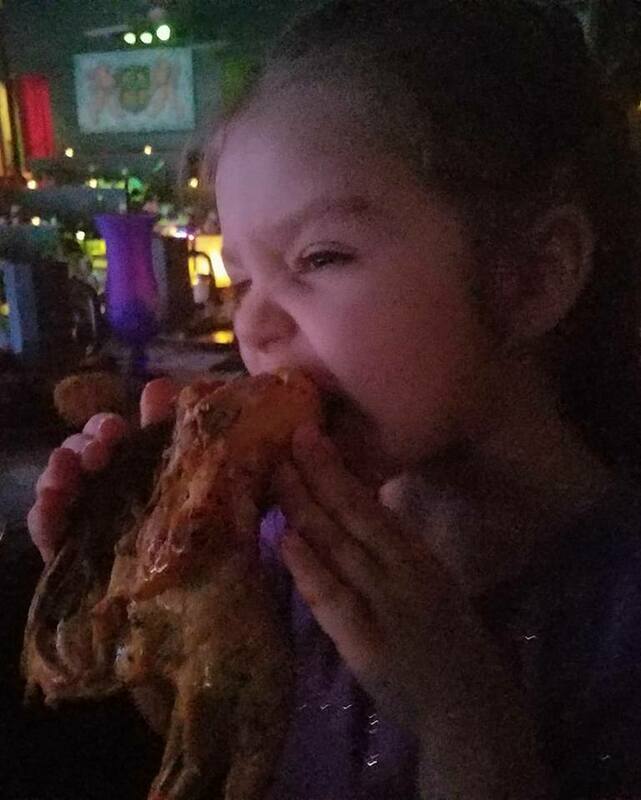 Seating is first come, first serve. 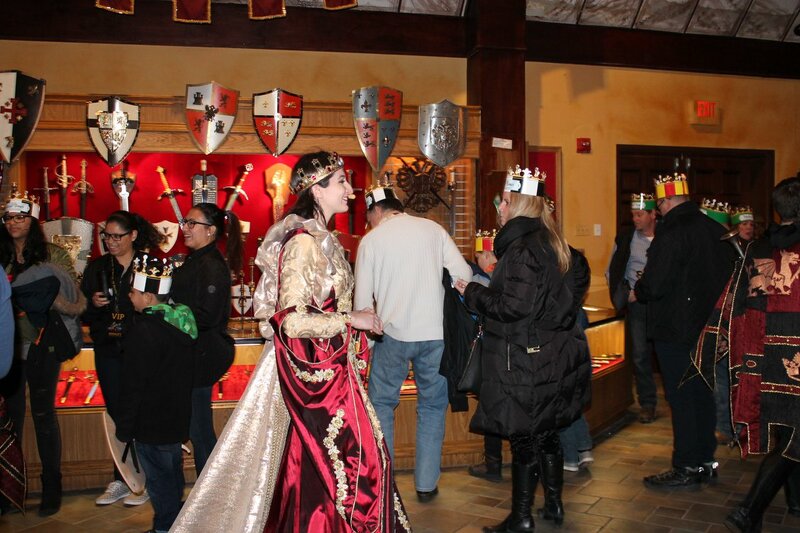 You are able to arrive 75 minutes prior to the show start. 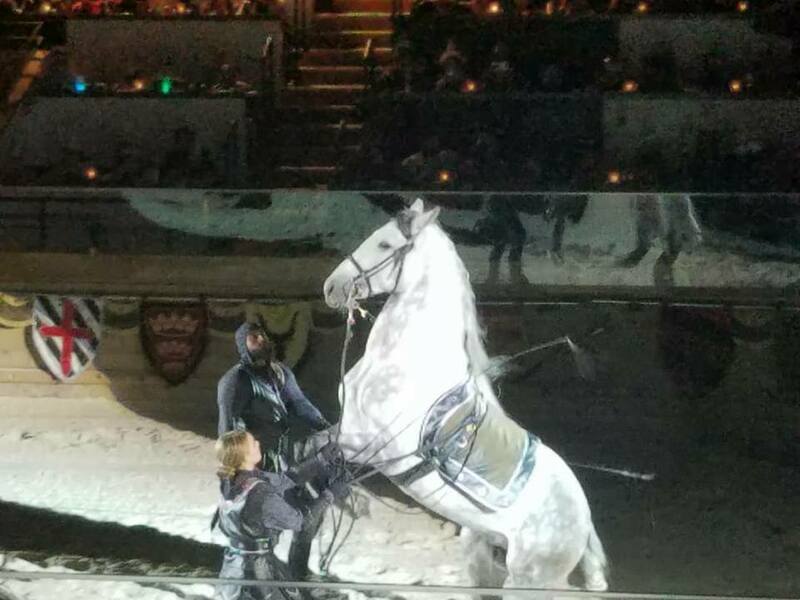 All 6 knights were fantastic. 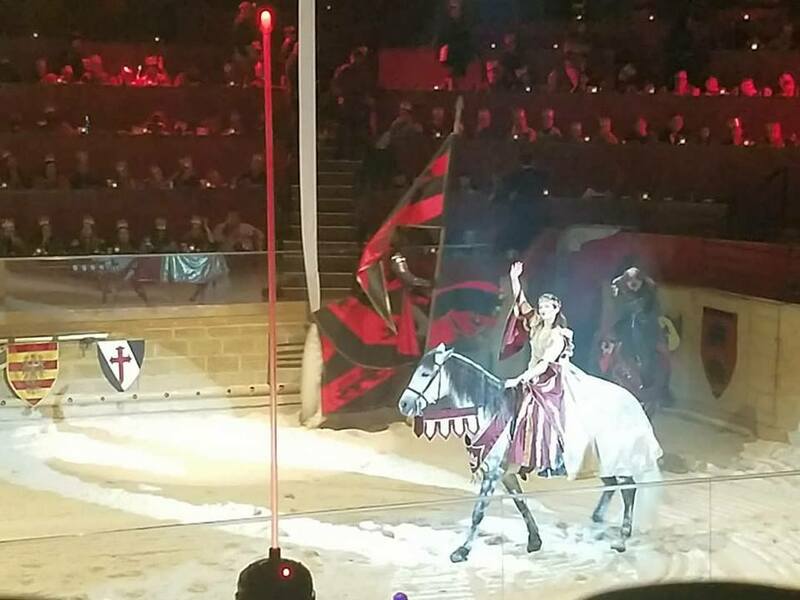 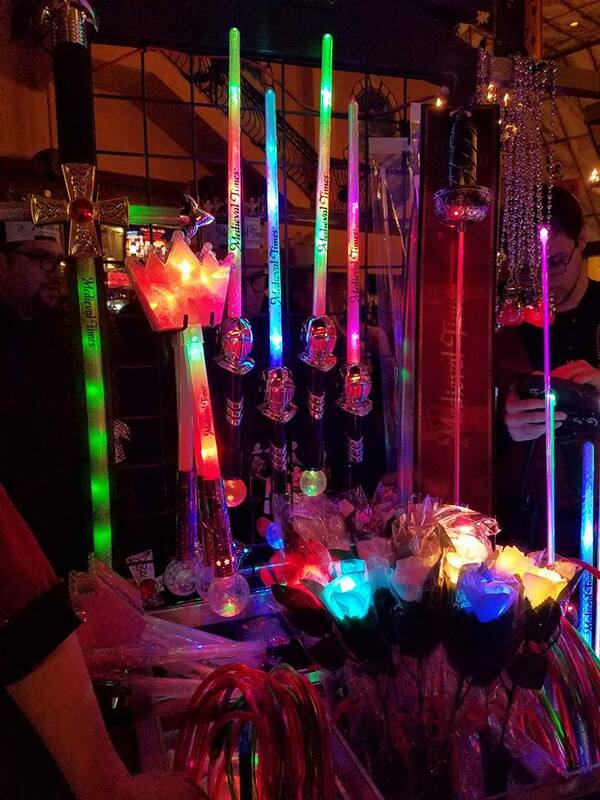 We made sure we had the red/ yellow flag to cheer on our fellow knight and the girls wanted light up swords! 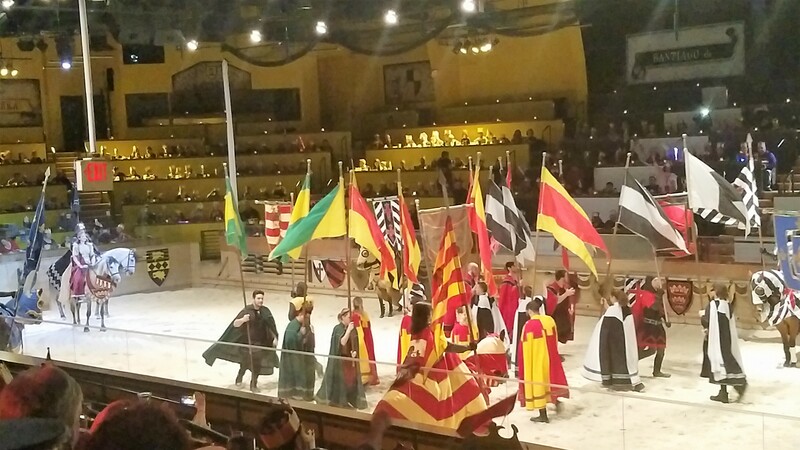 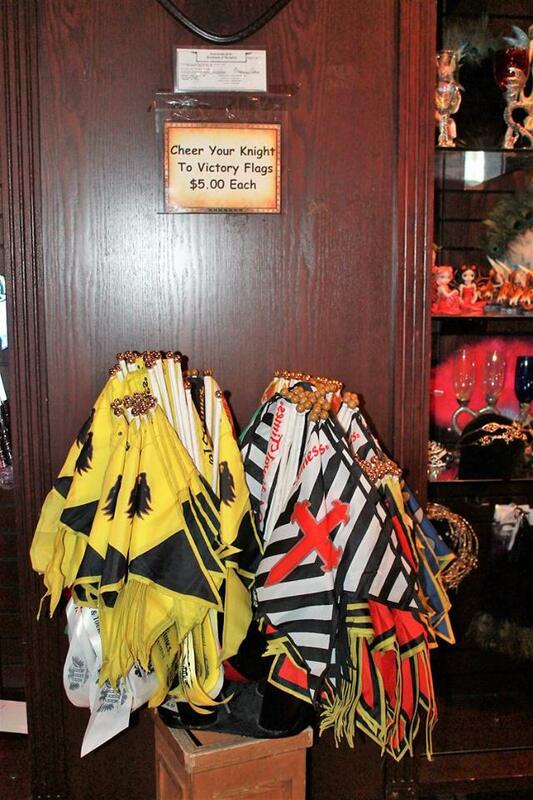 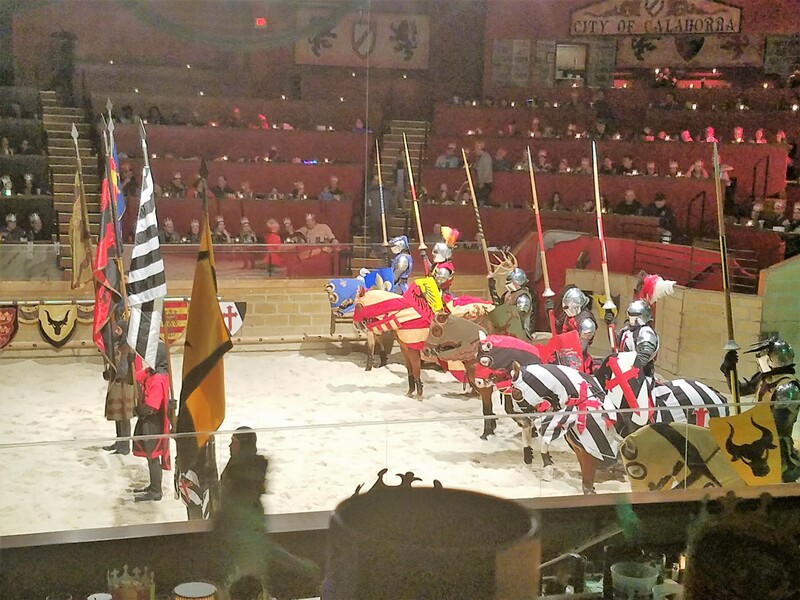 Having the flags is a must it is so much fun waving the flag and cheering for your knight. 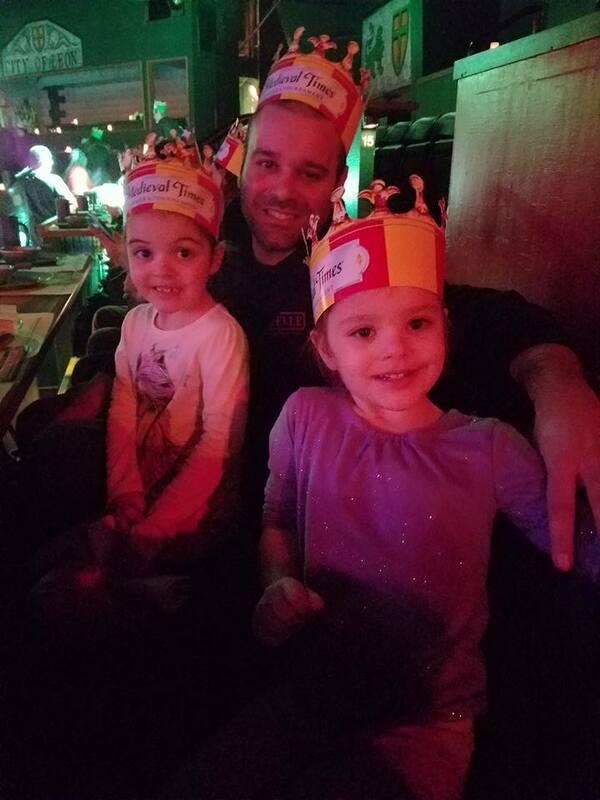 We really enjoyed the hands on Feast! 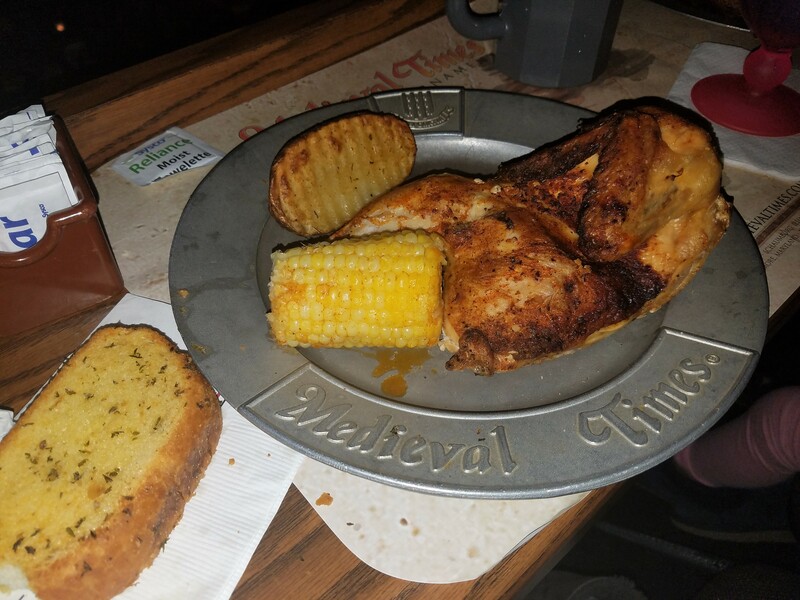 The one time you have to eat with your hands and it will be an amazingly delicious experience. 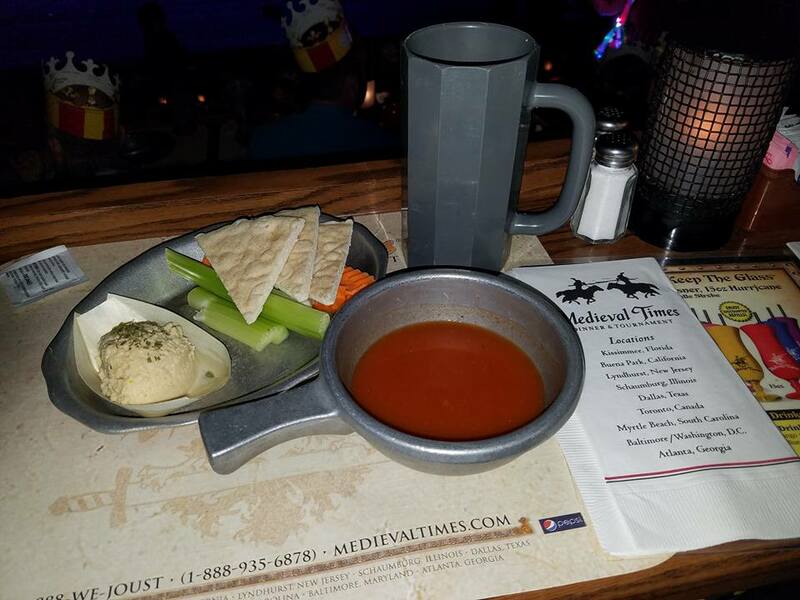 There is a vegetarian option, as well! 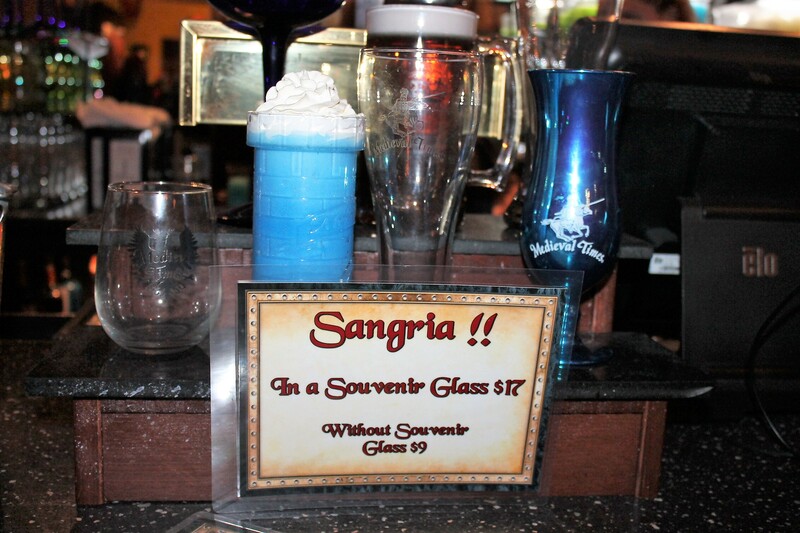 The drinks are so much fun and the souvenir glasses were beautiful! 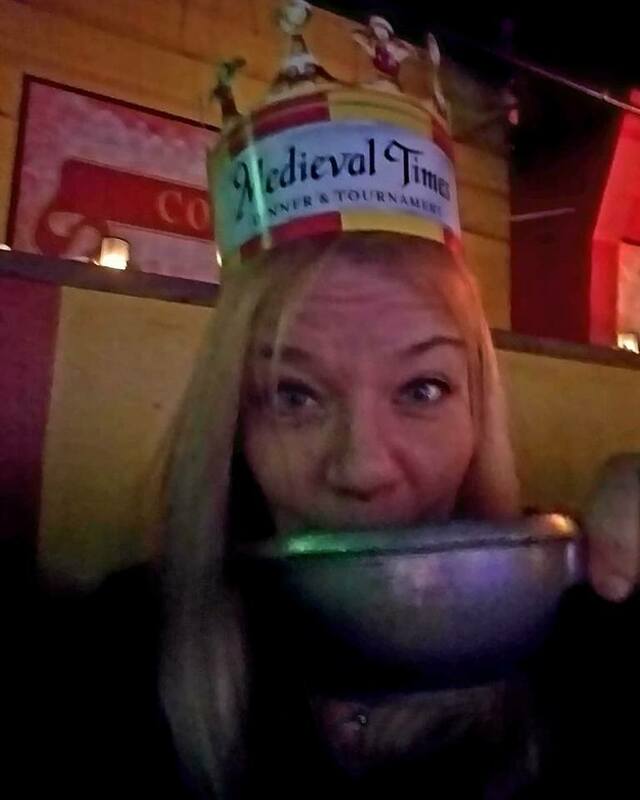 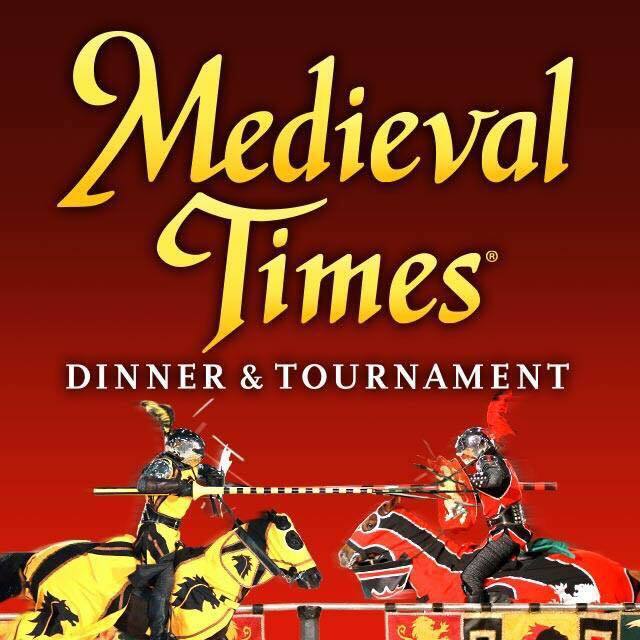 Tickets are available at www.MedievalTimes.com or by calling 1-888-935-6878. 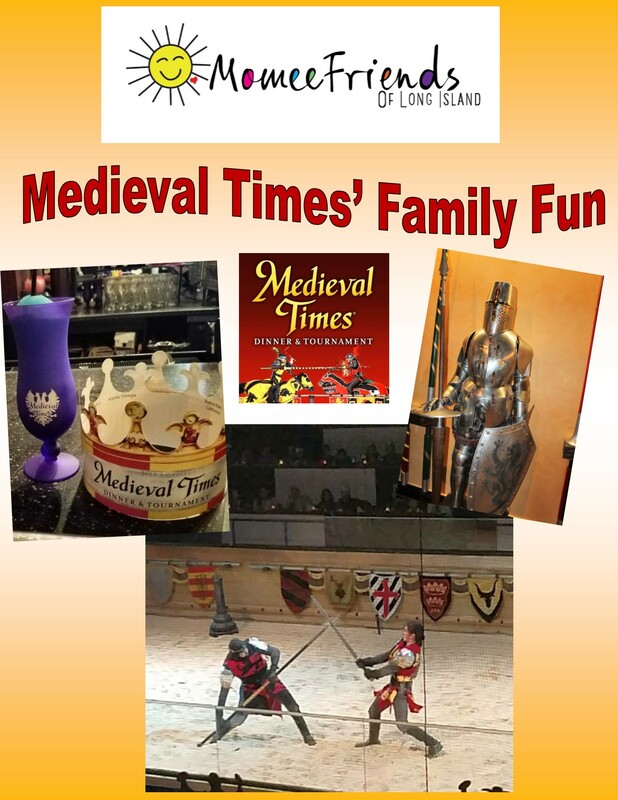 Offer: Adults 36.95/Kids 30.95 *Plus tax and processing. 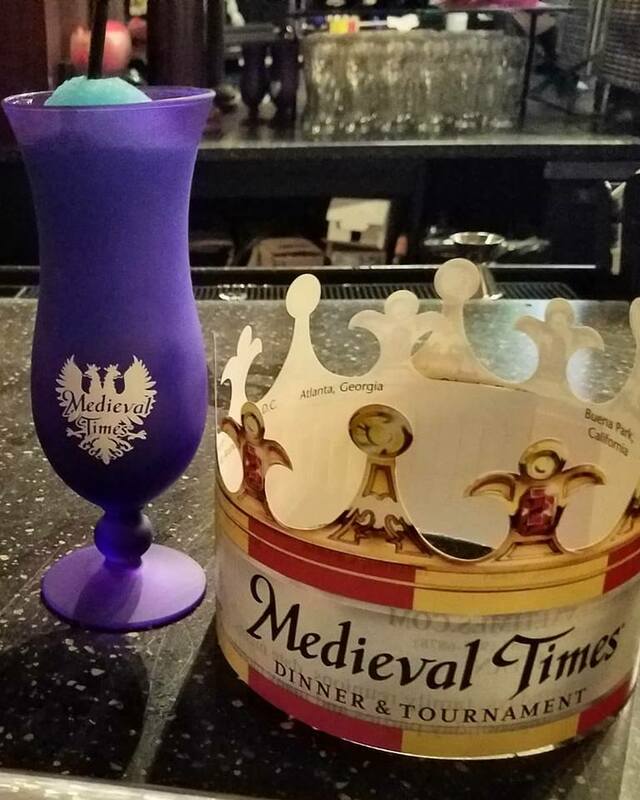 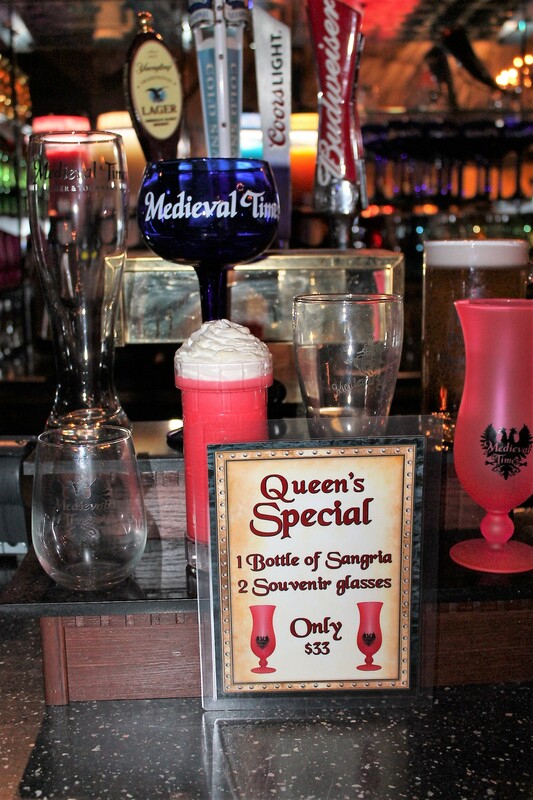 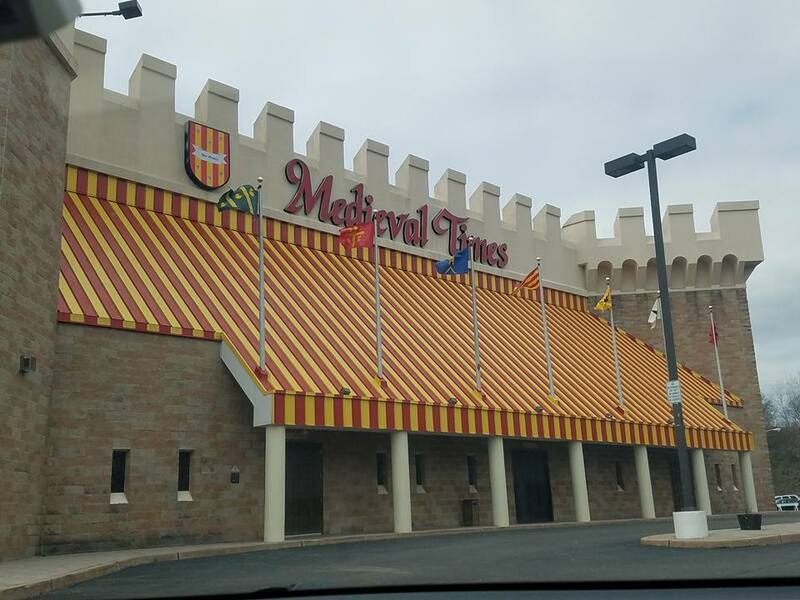 Medieval Times is located at 149 Polito Avenue in Lyndhurst, NJ. 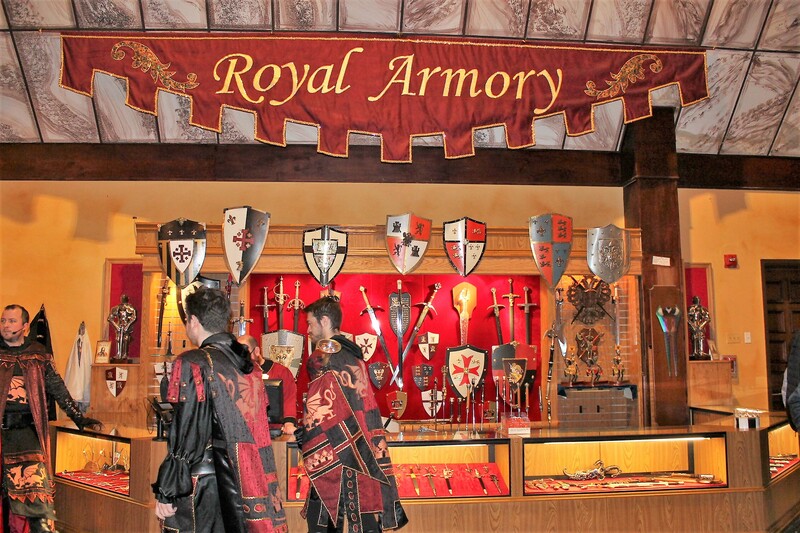 All of our fellow Ladies and Lords, let us know about your visit when you go! 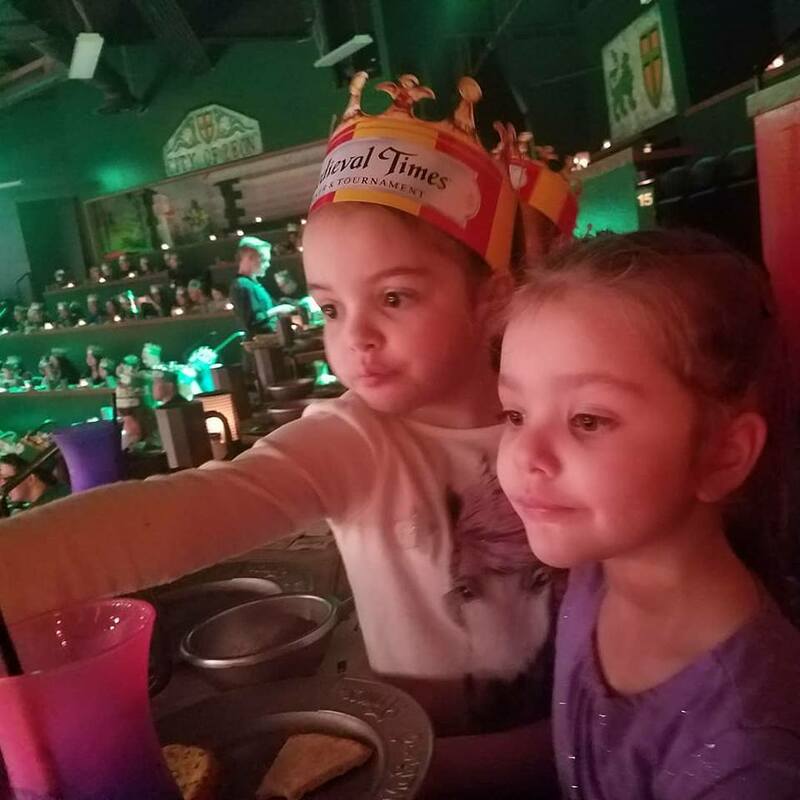 I know we had an amazing time.